Home insidetrack Going Global Is it a cultural thing? Is it a cultural thing? I am an international attorney from Washington state. Like you, I am well aware that culture matters when engaged in an international transaction… I see myself as someone who displays the global mindset you talk about in your column. Last month though, I had an unpleasant experience while organizing a conference in Brazil and I wonder if you can explain to me what I might have missed when engaging with Gilberto. Gilberto is someone who has joined my network of conference organizers recently and who has a decent command of English. At previous meetings, he had claimed to have much experience in conference organization, and I knew of at least one successful conference he had been involved in. Prior to my arrival, we had talked extensively on the phone for months and I had given him all the directives, budget guidelines, etc. on how to organize the conference, which targeted the international business community of the Amazon region countries with regard to the requirements of international environmental treaties. When I arrived on location, a day prior to the conference, nothing was ready and I was informed that we were suddenly way over budget. He had hired all of his buddies to set up the gig instead of hiring conference center personnel, as we had previously discussed. He was planning on bringing his own booze to the cocktail party and having his friends do the service “to save money.” The day of the event, the place was buzzing with people, but nothing was getting done on time or in line with expectations. Then, after the event, Gilberto went behind my back and recommended the services of a local international attorney to the potential clients I had developed by speaking at the conference. I suspect that Gilberto is a bit of both: a bad apple and the by-product of his culture. Organization in Brazil can be lackadaisical and following orders often a challenge. Moreover, this is a culture of opportunities and self-positioning. It is also a culture that relies heavily on relationships, just like the Chinese do through guanxi. I am not surprised that Gilberto had to bring his network into the equation, as he owed them loyalty first, since they are his clan. I also suspect that he is green as it gets when it comes to working with Americans from the northern part of the Western Hemisphere. He has done to you what is typically done to Brazilians everyday because loyalty outside of the clan makes no sense, especially in a city as crowded and challenging as Sao Paulo. It is a harsh environment where people survive because of their network and because they take care of one another. Unfortunately, Gilberto did not have the good judgment to see you as someone who could benefit his network long-term, but rather as someone he could take advantage of today, thinking that he would probably never hear from you again. He was also likely offered a commission for positioning the local attorney instead of you, allowing him to collect money on both ends. This is an unfortunate situation, but it is not uncommon. The chances you could repeat it are high. My suggestion to replace Gilberto is to find someone who has experienced life in the United States or Europe. That person should come recommended by someone who is well adjusted to the North American way of doing business. There is a Brazilian expat community in Portland and in Seattle, and several of them work for large multinationals. I would suggest some networking through the expat group InterNations, as most of those Brazilian expats will probably still have relatives and friends in Brazil who could fit the bill. This would allow you to bypass the masses and find someone qualified and loyal to develop your business in Sao Paulo. Indeed, hiring someone who speaks English is only one side of the coin, but understanding the American culture and seizing the expectations American business people have is even more critical. Make sure the new person masters both sides of the coin. Do you have a question for Going Global? Email Valerie@vbjusa.com. 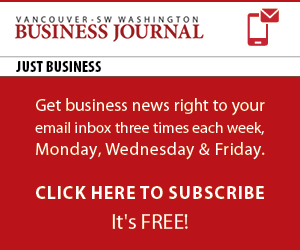 Please note that the Vancouver Business Journal and Valerie Berset-Price reserve the right to publish your letter or an edited version in all print and electronic media.